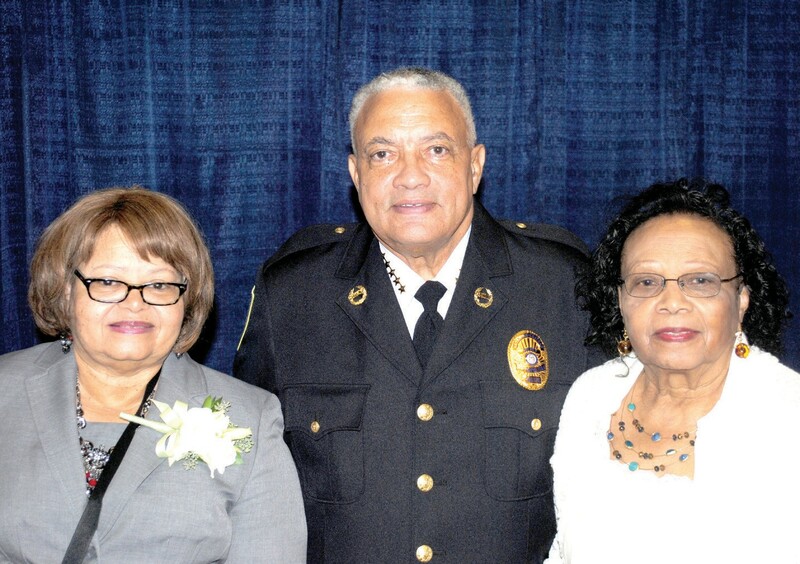 Joseph H. “Jack” Lumpkin was sworn in as Chief of Police of the Savannah-Chatham Metropolitan Police Department this past Monday, November 10 at the Savannah Civic Center. Hundreds gathered to witness this occasion including SCMPD Police Officers and Ga. State Troopers. Mayor Edna Jackson, County Commission Chairman Al Scott, Interim Chief Juliette Tolbert, and City Manager Stephanie Cutter made positive statements regarding Chief Lumpkin’s law enforcement experience and the skills he will bring to the SCMPD. During the Pinning Ceremony, Chief Lumpkin’s wife, Mrs. Sandra Lumpkin, pinned his SCMPD Chief badge to his uniform as his family members looked on. Clerk of Council Dyanne Reese administered the Oath of Office while Chief Lumpkin’s wife and mother in law, Mamie Colquitt, held his Bible. During Chief Lumpkin’s remarks, he acknowledged the officers respectfully as customers indicating they had a choice. Over the next few months, he will meet with the officers of SCMPD to learn more about the department. This year, the Georgia Association of Chiefs of Police named Lumpkin “Chief of the Year” for his “continuous unfailing and wise counsel toward developing community awareness, deliberate dedication toward fair and impartial policing, and innovative public service delivery.” He has used a community oriented policing approach in Athens-Clarke County (pop. 116,714) to drive down Part 1 crime more than 40 percent during his tenure in a county with one of the highest poverty rates in the nation.